Interest rates have been near historic lows for more than eight years now, and with the Federal Open Market Committee maintaining rates at Wednesday’s meeting, it looks to stay that way at least until November. That’s bad for banks and other financial institutions that rely on healthy interest rates for profits, and they’ve struggled as a result. With investors shying away from the financial sector, the rest of the market is doing assuredly better. As the S&P 500 Index sits near all-time highs, however, the financial sector is one of the few remaining sources of long-term value for investors. And they’re sure to bounce back when the Federal Reserve inevitably decides to raise rates. Even after Wednesday’s decision, the Fed remained positive that the case for a rate hike has strengthened. Like all banks, BB&T Corporation (NYSE:BBT) has felt the pressure of low interest rates on its net interest margin. A recent Reuters poll of economists found that 70% expect the Fed to resume hiking rates in December. Rising rates should be good news for all U.S. banks, as it means they can realize a greater net margin between interest paid and interest paid out to its lenders. In the meantime, BBT has still found a way to grow revenue nearly 20% since 2011. At a forward price-earnings ratio of only 12.4 and a P/FCF of 9.7, the stock still looks cheap at this point. BBT pays investors a 3.2% dividend, and with a payout ratio of only 41%, that dividend looks fairly secure. In terms of security, BBT is one of the banks subjected to the Federal Reserve’s annual stress test and CCAR. That means that regulators comb through the bank’s balance sheet on an annual basis, another reassuring sign. Finally, in the event of a wide-spread market selloff, BBT’s beta is only 1, meaning it is unlikely to be more volatile than the overall market. From a value perspective,Canadian Imperial Bank of Commerce (USA) (NYSE:CM) has a very appealing 9.8 P/E ratio and a P/FCF of just 4.2. CM stock pays an extremely generous 4.7% dividend and maintains a responsible 48% payout ratio. While the Canadian bank is not primarily exposed to the U.S. economy, it made a major move to increase exposure this summer. In June, CM announced a $3.8 billion buyout of PrivateBancorp Inc (NASDAQ:PVTB) for $3.8 billion. Following the acquisition, the U.S. will now account for about 10% of CM’s earnings. The company’s CEO said the company wants to eventually push that number to 25% in the long-term, so investors should expect more deals in the future. The combination of a attractive valuation metrics, a high-yield dividend and the potential for international expansion makes CM a prime target among value stocks. When running a screen for under-the-radar value stocks, lots of international names will usually pop up because U.S. investors tend to shy away from international value stocks. Banco de Chile (ADR) (NYSE:BCH) is a prime example. Despite a market cap of more than $11 billion, BCH stock averages only 40,800 in daily volume. That’s about as under-the-radar as you can get. BCH trades at a reasonable 12.5 forward price-earnings ratio. The stock’s 4.3% dividend is one of its biggest selling points, and BCH maintains a responsible 47% payout ratio. Scotia Capital upgraded BCH from “sector perform” to “outperform” back in July. After years of underperformance, the stock has come alive so far in 2016, climbing nearly 15% year-to-date. Long-term value investors that bought BCH stock on the dip in recent years are hoping that this year’s bounce is just the beginning of a multi-year run. Bank of Montreal (USA) (NYSE:BMO) is another Canadian bank that isn’t waiting around for interest rates to rise to grow its revenue. The bank acquired U.S. investment banking firm Greene Holcomb Fisher back in June. The deal reportedly doubled BMO’s exposure to the U.S. mergers and acquisition market. “Given the financing markets are coming back, that bodes well for deal activity in the second half of the year,” BMO global head of investment & corporate banking Perry Hoffmeister said of the deal. In addition to adding a new revenue source, BMO also recently announced plans to trim its workforce by 4% to cut costs. BMO stock is already up 15.5% in 2016 is an extremely difficult environment for bank value stocks. However, even after the run, the stock still looks like a great value. Its forward P/E ratio is only 11.3. Its P/TBV is also a reasonable 1.46, the low end of its range since the financial crisis. BMO stock also pays an appealing 4.1% dividend at a payout ratio of 47%. Back in August, RBC Capital Markets reiterated its “sector perform” rating on BMO stock, but upped its price target from $84 to $88. After taking a conservative approach to lending in recent years, PNC Financial Services Group Inc (NYSE:PNC) recently committed to a more aggressive attitude. Wells Fargo & Co (NYSE:WFC) is still dealing with the PR blow-back from its cross-selling fraud scandal. However, PNC is now committed to increasing its cross-selling efforts. “We’re rebuilding the engine here to drive gains and market share, increase cross-sell and reduce our costs to serve loans,” CEO William Demchak said earlier this month. This is the type of aggressive approach to growth that appeals to investors when a stock is already attractively valued. PNC stock currently trades at a price-earnings ratio of 12.5 and a P/TBV of only 1.06. In addition, PNC pays a 2.4% dividend. And its tiny 31% payout ratio suggests plenty of room for additional dividend growth in the future as well. A common theme among these financial value stocks is that they are actively seeking out growth rather than sitting around and waiting for a better environment. 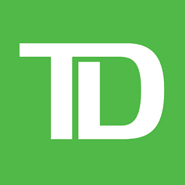 Toronto-Dominion Bank (NYSE:TD) is no exception. Just this month, the company acquired U.S. broker-dealer Albert Fried & Co. Much like the two other Canadian bank value stocks in this group, TD is looking to expand its presence in the U.S. market. The Albert Fried acquisition gives TD even more access to U.S. hedge fund clients. From a value perspective, TD stock currently trades at a forward P/E of only 11.3. It also pays a generous 3.9% dividend at a payout ratio of only 45.5%. Just this month, analysts at Citigroup reiterated their “buy” rating for the stock and raised its price target from $60 to $65. The new price target represents roughly 50% upside from the stock’s recent share price. U.S. Bancorp (NYSE:USB) recently hosted an investor day in which the company revealed some impressive metrics. Cost/income is expected to remain around 50%, return on equity is projected above 13.5% and its return on assets should come in at above 1.4% in the near future. Those numbers put all of the “big four” U.S. banks to shame. Yet, while most traders are aware of Warren Buffett’s big stake in WFC, the media rarely talks about his $3 billion-plus stake in USB. Buffett is the quintessential value investors; if he sees value in UBS, there must be something to it. With numbers like those, it’s no wonder UBS has been able to consistently grow profits and revenue in recent quarters. In fact, USB’s revenue is now up more than 50% from its pre-financial-crisis level. One look at the value metrics reveals what Buffett already knows. UBS stock trades at a forward P/E of 12.6 and pays a 2.6% dividend with a 31% payout ratio. UBS stock is already a value and running a smooth operation. If you add rising interest rates into the mix, it’s a recipe for major long-term upside. Article printed from InvestorPlace Media, https://investorplace.com/2016/09/financial-value-stocks-dividends/.